One great design can make all the difference. The striking style of this transitional end table adds a little punch to your living room design. Contrasting colors catch the eye and makes you take notice. Handmade right here in America, this quality end table will stand up to years of wear and tear. Use the smooth surface space to create a well-lit area or display your decor. This table was handcrafted in America from 100 percent solid wood. A solid maple base supports the rustic cherry tabletop. The strong and durable multi-step catalyzed finish makes this table both durable and beautiful. 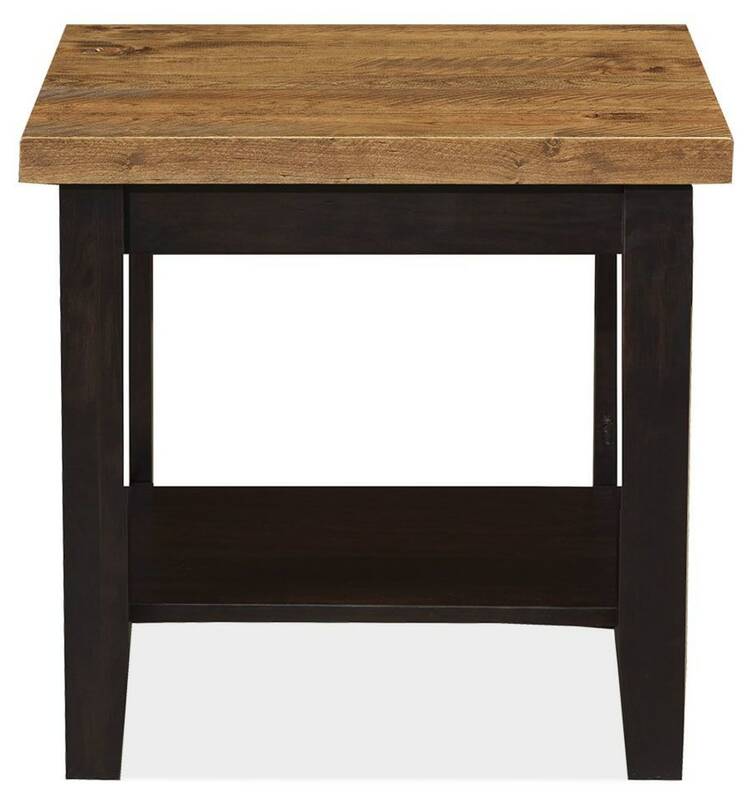 The transitional style gives this table a lasting appeal. Who says style can't be practical, too? This stunning end table brings convenience to the living room while boosting the room's overall design. With this American-made end table, you'll finally have a place to set your drink and remotes. Buy now and Gallery Furniture will have your new furniture delivered TODAY.